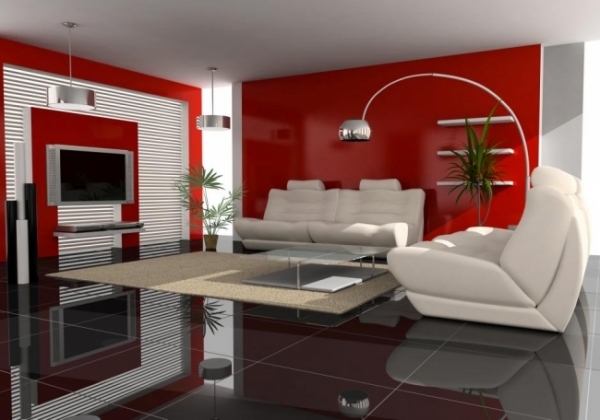 Are you looking for a professional that is experienced in painting interior homes? If so, you should understand the differences between the types of interior painting first so you know exactly what to expect during this project. While coating the inside of a home is obviously very different from the exterior, there are two separate categories of interior painting that require contrasting procedures, both in preparation and in execution. This type of interior painting usually occurs when the home is new and no one is currently living in it yet. New-construction painting is normally much easier in a way that the house is empty, meaning that furniture does not need to be moved, accessories do not need to be removed from the walls and people do not get in the way. In addition, because the walls are new, they usually will not need much attention other than possibly fixing up a few dings that occurred during construction. However, professionals will still need to caulk all gaps and joints on new trim, as well as prime new drywall, fill and sand any nail holes there may be. They will also need to give the trim a smooth finish, usually done with spray paint. Once this has been completed, they are ready to paint the ceilings and walls. Repainting typically occurs when people have been living in their home for a while and are looking to give their walls a new look. Because there is usually furniture and other items in the way that need to be moved, this type of interior painting can take much longer to prepare for. Switch plates and blinds will need to be removed, and the floor must be protected. In addition, if people are living in the home, the painter will need to come up with a plan to eliminate interruption. Once everything is out of the way, the walls will need to be prepped. If there is wallpaper, it will need to be completely removed. Professionals will then fill, sand and prime certain areas that have been damaged over time in order to give the wall a new, smooth look once it has been coated. After this is finished, the home is ready to be painted. If you are looking for Vancouver interior painters that will give you the home of your dreams, give us a call. Whether you need a repainting or a new-construction painting, we’ve got you covered. Contact us today for a free estimate.